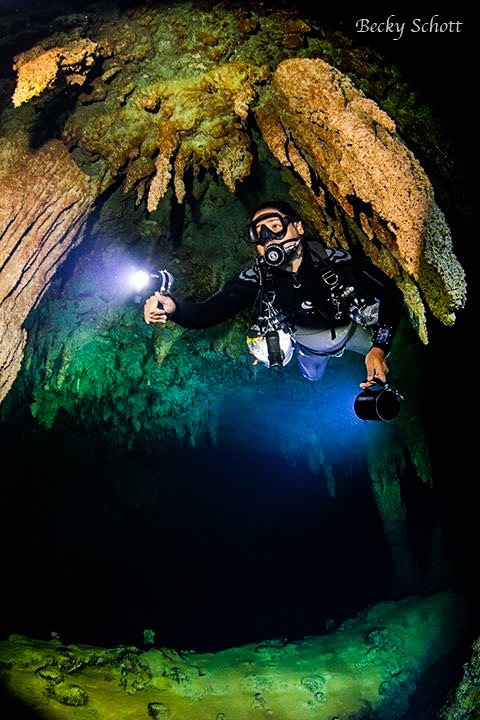 Belize has a vastly untouched and uncharted group of cave systems scattered through the country. 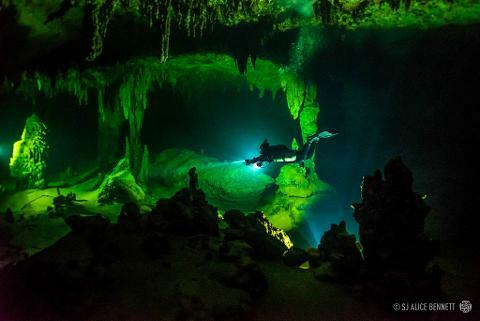 At Belize Diving Services, we offer guided tours to the vast and gloomy giant cave, with it's massive speleothems that resemble roman columns and extensive cathedral sized rooms all hidden below the sleepy island of Caye Caulker. Upon request we also offer tours to the bright and glittering snow globe reminiscent Winter Wonderland, available only by boat. 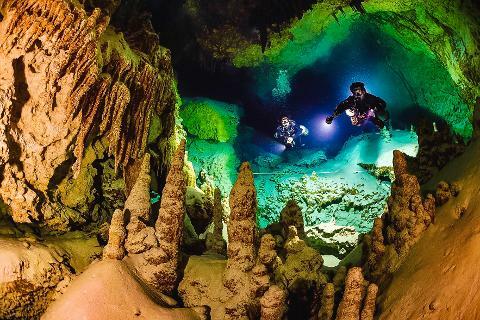 Signing up for this tour automatically gets you signed up for a dive in giant cave. Day before check ins, are required.